In his mid-20s, Captain Marcus Wilson started fishing on the Bay years ago with his dad, like many a young Captain. 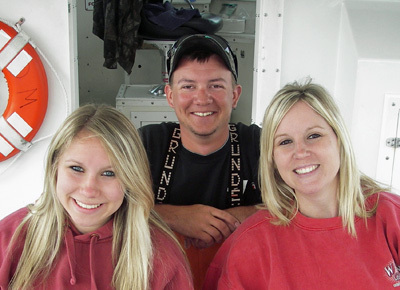 More recently, he gained experience working as a mate on some of the best charter boats in the mid-Bay area. He's had the opportunity to fish with Drew Payne on the Worm, Marty Simounet on the Kryan Lynn, Eddie Green on the Plumb Crazy, and Jamey Danford on Kelly D. Now Captain Marcus has his own boat and is excited and anxious to build his own charter business. For more information call Captain Marcus Wilson at 301-785-1199 or send him an email .